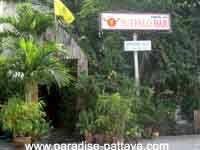 Planning visiting a Pattaya beer bar or two? The majority of the beer bars in this party town are mostly open air beer bars. They are spreading from Naklua across the city all the way to Jomtien beach. New bars are popping up daily just about anywhere and some seem to disappear just as quickly. There are hundreds of these bars filled with "Pattaya Bar Girls" and Farangs (foreigners) who seem to be able to live on beer only for weeks at a time. Soon we'll find tourists coming to see them! What's the story behind these places and what is supposed to happen? 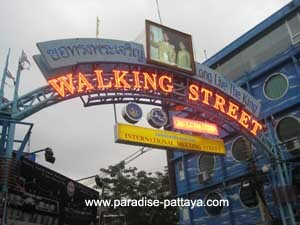 • and many other adult entertainment venues is Walking Street. 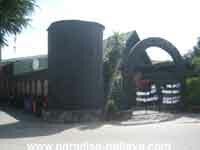 The Bars are Thai and foreign owned and some of them don't survive very long but there are some well established Bars which have been in business for a long time. Depending on the time of day, there are always several beautiful bar girls to maybe 25-30 in a Bar to serve you drinks, play games with you and entertain you. Lady drinks are somewhere around 100 Baht and it may be a good idea to ask how much a lady drink is before you order. Your bill will be placed in front of you on the table or the counter in what is referred to as a bin. When you pay you 'check the bin'. 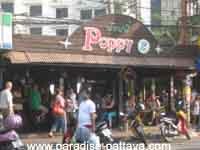 The Bar fine for the bar girls in a Pattaya Beer Bar is usually 200-300 Baht and up to 500 Baht in Gogo Bars. When the bar fine is paid the Lady is free to go with the customer. What happens after that is between the customer and the girl.. If the customer spends another day with the girl he will have to pay the bar fine for that day as well. The financial arrangements between the girl and her new friend is usually of no concern to the Bar. It seems that a 1000 Baht for one night is now the regular "tip" for a one night stand. I am sure that other arrangements can be made between the customer and the girl for longer periods of time. These Beer Bars are a lot of fun and I have the slight suspicion that this may have something to do with the beautiful and fun girls that work in the bars. Many girls do speak some English but many don't. You can assume that the more English the girl speaks the longer she has been working in Bars. Before you leave your hotel, condo or apartment only take as much money with you as you can afford, or want to spend. In a Pattaya Beer Bar it seems that drinks are a lot cheaper than anywhere else but for some mysterious reason money seems to disappear quickly for no apparent reason. Just leave your valuables in a safe place in your hotel. Most hotels have safety boxes. Have fun and be sure to try out a few different brews!